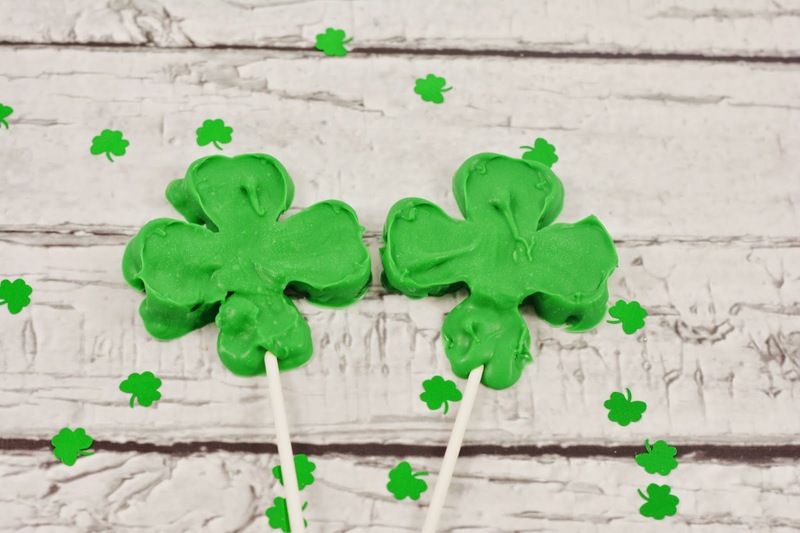 Want to make a festive treat for St. Patrick's Day but don't have a lot of time? If so, these easy St. Patrick's Day candy pops can be made and ready to go in a matter of minutes. Literally! So, check out the instructions below and make a lucky treat for your loved ones this St. Patrick's Day! Step 1: Place the bag of green Wilton candy melts into a microwave safe bowl and microwave for 1 minute. Remove, stir and microwave again for 30 seconds at a time until completely melted. Step 2: Line a cookie sheet with aluminum foil and place the metal cookie cutter on top. Pour in some of the candy melts and smooth with your finger. Step 3: Quickly and carefully lift up the cookie cutter from the aluminum foil and place a cookie pop stick at the base of the shamrock shaped candy, you can use your finger to lightly close the melted candy around it if you need to. Step 4: Place your candy pops in the freezer for a few minutes to cool completely and harden. These are great placed on a display at a St. Patrick's Day themed party or put into individual clear plastic bags and tied with ribbon to give as gifts! Easy and festive! Great for the green holiday. Easy and the idea would be very versatile! Pretty confident my kiddos would love these! My daughter picked a green doughnut this morning, so I'm thinking these would go over well too. Even though I'm not into St. Patrick's Day, I think those are cute! So cute and not so hard to make. My daughter loves St Patrick's Day. What a fun idea, these are really cute! Thanks for sharing how to make them! So easy! Thanks for the idea. I'm going to try and find a mini-graduation cap cutter to do this for our daughter's party this spring. I want to try these, this is a cute project for me and the boy. Such a cute and easy fun holiday treat! What a great St. Patty's day treat! Oh wow they look so nummy and cute for a party! These look so cute and easy to make. Those are too cute! &I love the taste of those candy melts, I'd love these. Those look great! The kids would love this for a St. Patrick's Day treat. Those would be so fun for a school party or heck, anytime. Adorable! I would never think making candy could be anywhere near this easy. I have to give it a try because these are so cute! 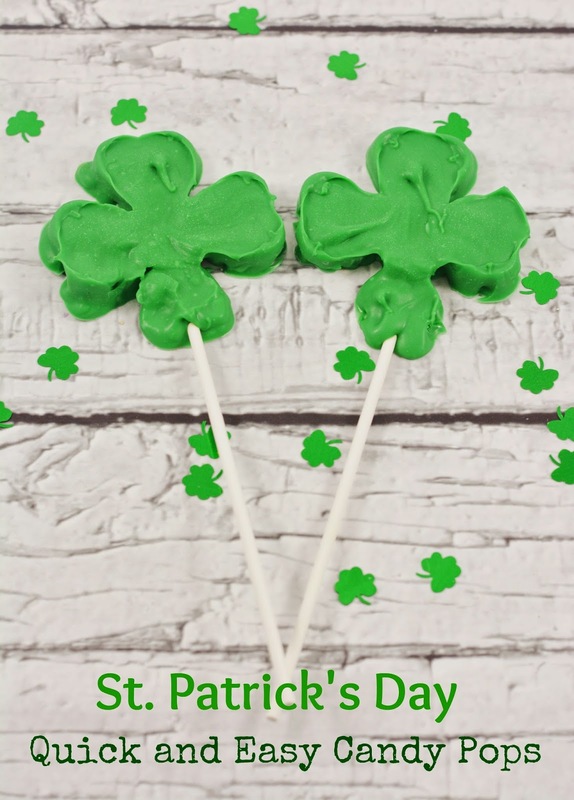 A great St. Patrick's Day treat that kids can help you make! These St. Patrick's Day pops look so tasty and festive. I love how easy they are to make. Those are really cute, Kathleen. Thanks for sharing.